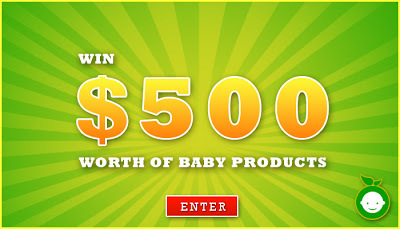 Pretend that you just won $500 in baby products from Baby Organic Joy. Yes, I just wrote “you and “$500” in the same sentence. How about if you and two other people each won $500! If the name Baby Organic Joy sounds familiar, then you’ve probably read our recent review of their online shop or are conscientious about the products that you give your baby. I love the fact that Baby Organic Joy is a Canadian company and a proud member of Canada’s Organic Trade and Green Business Associations. That’s not all. I also love they offer quality products at afforable prices. In my opinion, Baby Organic Joy is great value for your money! Disclosure: Journeys of The Zoo received compensation in exchange for posting about this giveaway. *Depends on the shipping destination. Baby Organic Joy: Shop Canada’s Online Organic Baby Store Capture First Memories with Glow Baby Journals Organic Squoosh Snack Products from @BabyGourmet are Baby and Kid Approved! WOW! Great prize (and I LOVE multiple winners) – thanks for sharing! Cool! With twins on the way I soooo hope I win this! Thanks, I hope I win!! I would love to win $500 in pbaby products from Baby Organic Joy! Journeys of the zoo thanks for this great giveaway!! !